Dubai: After a stellar start to the year, concerns on growth and trade re-negotiations have returned, sending global equities back down for the near future. 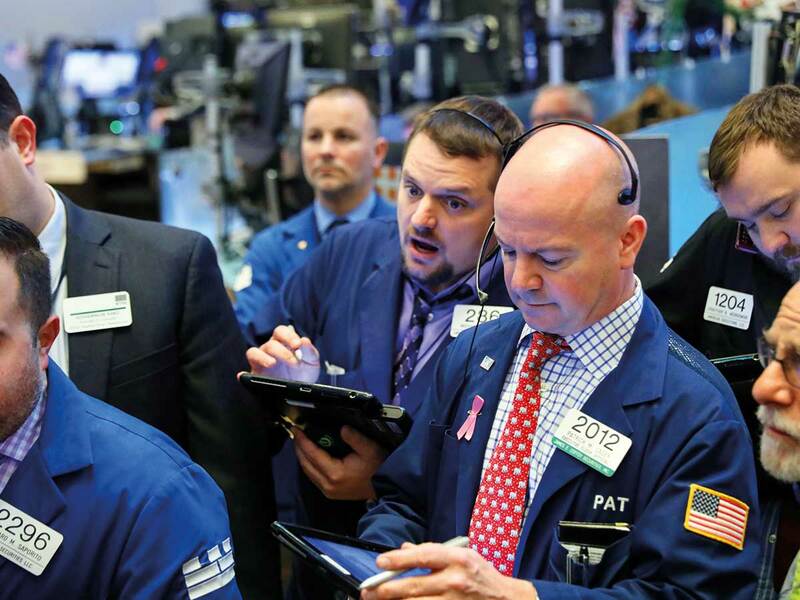 The Dow Jones Industrial Average finished last week 0.25 per cent lower at 25,106.33, extending losses for a third day in a row. The gauge showed a marginal gain of 0.17 per cent in the past week. The S&P 500 index closed at 2,707.88, up 0.07 per cent. “Market confidence is derailed once again as trade war concerns have become a major hurdle again. It appears that President Trump and President Xi will not be meeting before the critical deadline — the end of this month. If both countries fail to resolve the issue, the Trump administration is going to increase the tariffs on Chinese imports at the end of this month, something which was issued before the truce,” said Naeem Aslam, chief market analyst with Think Markets. “Investors were hoping that both presidents will be able to put the trade war behind them and move forward. This was one of the major factor that triggered the rally in the equity markets,” said Aslam. The Dow Jones index witnessed a strong January, gaining seven per cent, the largest one-month rise since 2015, and the biggest in 20 years. The S&P 500 index jumped nearly eight per cent in January, the best monthly performance since 1987, and its biggest monthly gain since October 2015. But that performance many slowly vanish. “We have seen several major central banks turn dovish at the same time over the past few days. This is probably alarming some investors, which may explain why stocks have failed to sustain their rally,” Fawad Razaqzada, Technical Analyst at FOREX.com said. Global equities have been in a bull market since the past decade. The Dow Jones Industrial Average has gained more than 100 per cent since 2008. “Global equity markets have been struggling to move higher, the upward move was very minimal and there was no support in terms of volume. This was an indication that these markets have run out of steam and they need a new catalyst to move higher,” Aslam said. Gold prices traded 0.30 per cent higher at $1,318.20 an ounce, recovering from a one-week low of $1,302.11 seen on Thursday. “Despite a risk-averse trade, gold prices are trading lower due to the strength in the dollar index. This suggest that investors are not really hiding, but they are just taking some profit off the table. If this was a full on risk-off trade, then we should have seen the evidence of money moving into safe havens — such as gold,” Aslam said. Gold has been on a gaining streak since August and has gained 13 per cent from it’s a year and a half low.